Just watched this , good fight. El Felino...should now be called The Immortal Beast! Jones is a humungous cruiserweight, about as big as you can get at that weight. Lebedev not being tall for a cw took its toll on him in this fight. the people in his corner were very stupid to let him go on with that injury. the eye was completely fucked mate, the swelling was off the scale!! Guillermo Jones moving up the list of all time great Panamanian fighters? 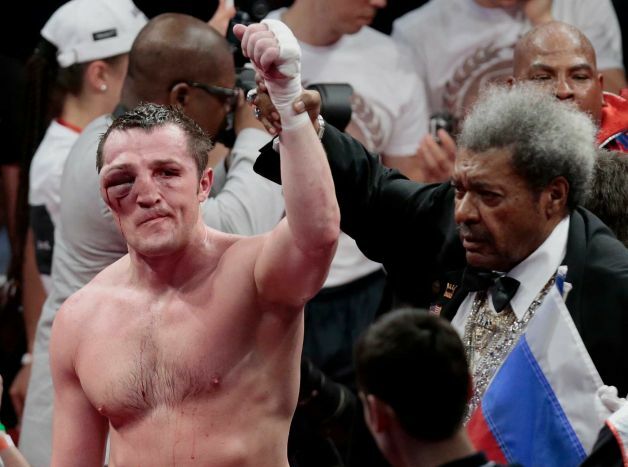 Great fight, Lebedev suffered for that loss, he should have been pulled out once that eye swollen up. perhaps anselmo moreno should e on the list? Id have Mosquera at 10 instead of Alcazar. All due respect to the deceased. Top ten Panama boxers of all time? Yeah sorry man i meant to respond to you in teh Duran thread but when i went back i realized i never did!